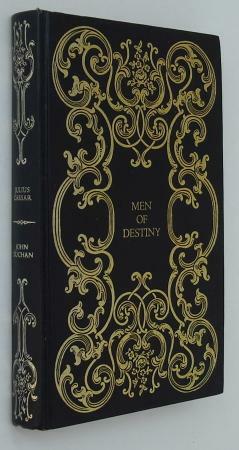 Charming and compact collection of biographies of some rather eclectic 'Men of Destiny'. Written by an equally eclectic mix of biographers, including the great James Buchan on Caesar, Socialist MP James Maxton on Lenin; and playwright and lyricist Clifford Bax on Leonardo Da Vinci. The majority of these scholarly yet readable works were originally published in 1932. 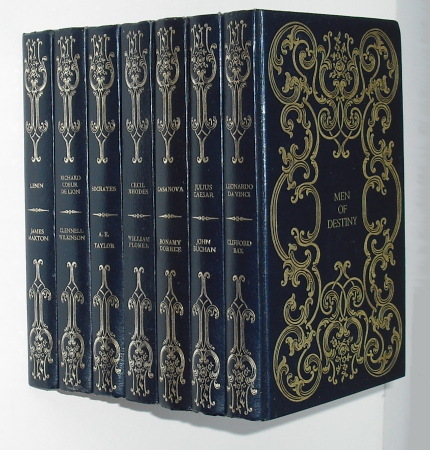 These attractive Heron editions are in dark blue leatherette cloth with extravagant gilt titling and design. All volumes show some shelfwear with light foxing to page edge but are bright with prim, unread interiors. Good+ overall.